– MELTDOWN PRINCESS – Click Here for info. – HIGENAMINE – Click Here for info. Why stack these products together? 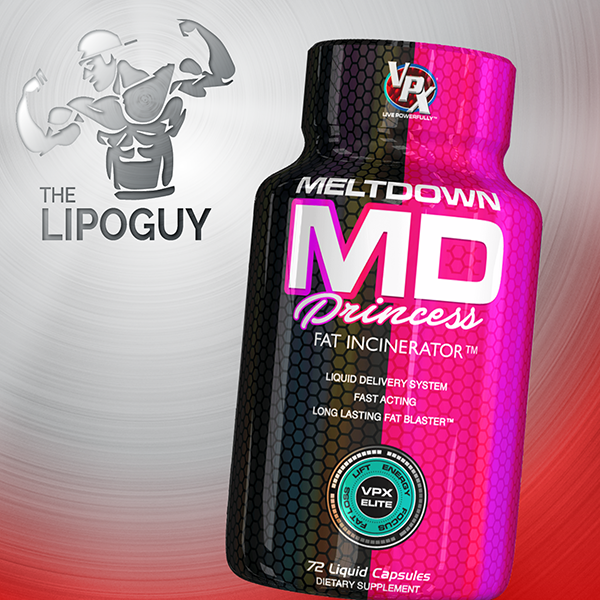 – You’ve got MELTDOWN PRINCESS – a product for women that can give you some blasting energy during the day to hit those training sessions hard as well as it’s potent shredding especially when adding Higenamine for added blood flow, focus, energy and additional weight loss. This will results in even higher levels of energy, better improvement in the speed of the metabolism and overall weight loss. For added appetite suppression and a big hit of energy for those hard to please stim junkies, the caffeine 200 is the perfect combo for this product to really take the body to the next level during your training. Rest Days: 1 x MD PRINCESS after breakfast, 1 x MD PRINCESS after lunch. Can use caffeine capsule (just one) if required.